Photo: Field from Route 575 looking south, Lacoochee, Pasco County, FL. Photographed by user:RKriley (own work), 2012, [cc-by-3.0 (creativecommons.org/licenses/by/3.0)], via Wikimedia Commons, accessed December, 2013. The Pasco County Courthouse is located at 38053 Live Oak Avenue, Dade City, FL 34654; phone: 352-521-4506. 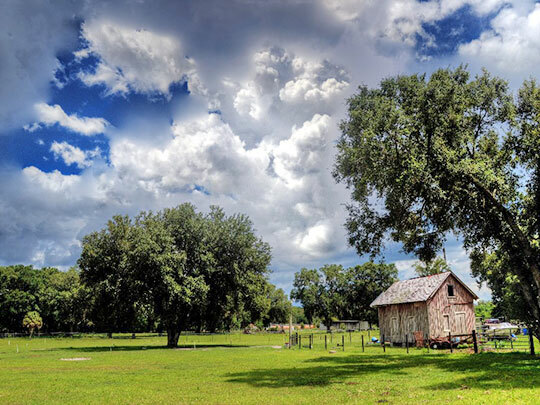 Pasco County was established in 1887 using land taken from southern Hernando County. It was named for Samuel Pasco [1834-1917] who served as a Florida State assemblyman (1886-1887) and Florida State Senator (1887-1899). The county borders the Gulf of Mexico near Tampa Bay.